Tre Scalini represents the real Italian cooking, exactly as you can taste it in Italy. 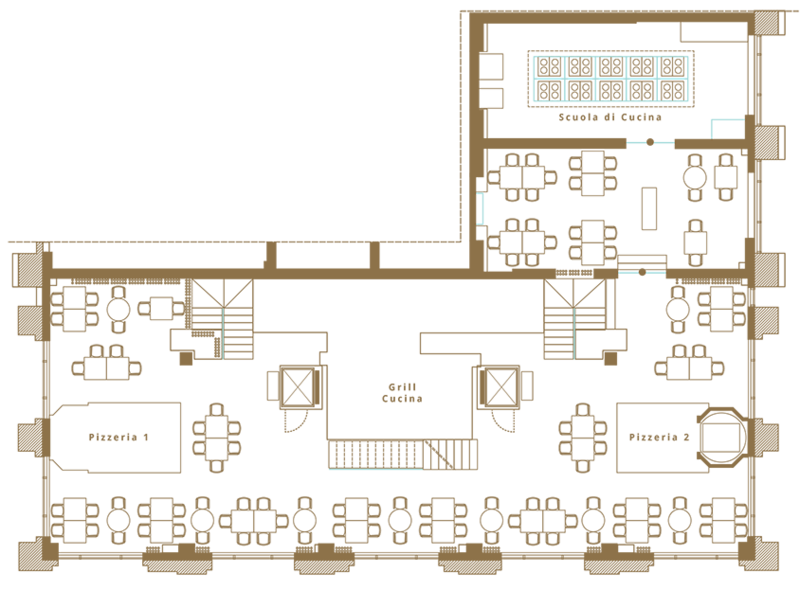 At the first floor of the restaurant are located Pizza restaurant/ Grill restaurant/ Fried-food shop and the Cooking School. Customers are welcome in a refined design location in which we have mixed elements of classic and modern style. Two large wood ovens are the main attractions of the floor. Menu is rich and satisfying; pizza is the real Italian one, prepared by real pizza makers with best Italian ingredients. A triumph of taste with grilled meat and fish along with our specialties cooked in the wood oven. The dessert menu includes the main Italian traditional desserts, including the famous Tartufo Tre Scalini.